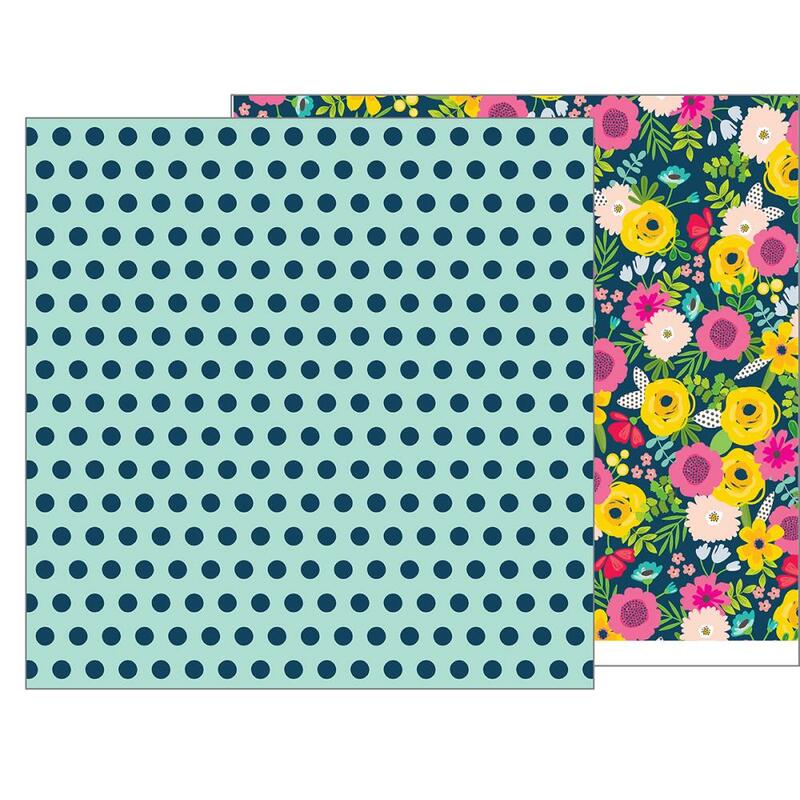 This 12x12 double sided paper has Large Dots on an Aqua Background on the frontside while the reverse side has Large Colorful Flowers. Part of the Patio Party Collection by Pebbles / Jen Hadfield. Look for coordinating selected Designer Papers, Stickers, Puffy Stickers and Dimensional Flower Stickers.